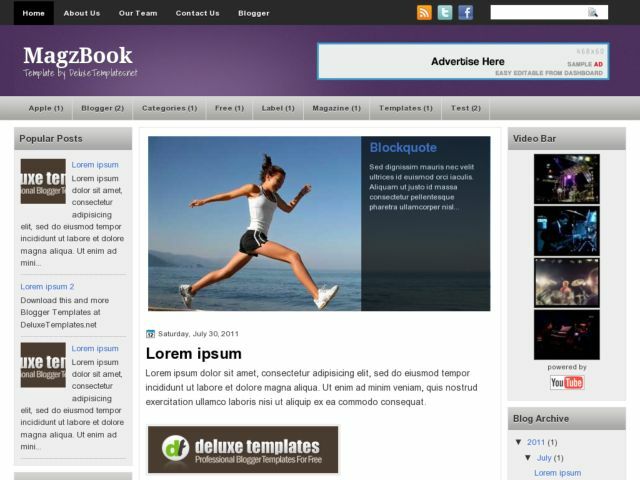 Descriptions : MagzBook Blogger Template is a great blogger template. 3 columns, left and right sidebars, featured posts, social bookmark ready, search ready, purple and gray. This template is suitable for all types of blogs / web.